세종대왕자태실은 성주군 월항면 선석산 아래 태봉(胎峰) 정상에 있으며, 세종의 적서(嫡庶) 18왕자와 세손 단종의 태실 등 19기가 군집을 이루고 있다. 태실은 왕실에 왕자나 공주 등이 태어났을 때 그 태를 넣어두던 곳을 말한다. 전체 19기중 14기는 조성당시의 모습을 유지하고 있으나 세조의 왕위찬탈에 반대한 다섯 왕자의 태실의 경우 방형의 연꽃잎이 새겨진 대석을 제외한 석물이 파괴되어 남아 있지 않으며, 세조 태실의 경우에는 즉위한 이후 특별히 귀부를 마련하여 가봉비(加封碑)를 태실비 앞에 세워두었다. 조선 세종 20년(1438)에서 24년(1442)사이에 조성된 것으로, 태봉은 당초 성주이씨의 중시조(中始祖) 이장경(李長庚)의 묘가 있었는데 왕실에서 이곳에 태실을 쓰면서 그의 묘를 옮기고 태를 안치하였다고 한다. 한편 1977년 태실에 대한 보수시 분청인화문대접·뚜껑, 평저호 및 지석(誌石) 등의 유물이 발견되었다. 세종대왕자태실은 조선초기 태실형태 연구에 귀중한 자료이며 우리나라에서 왕자태실이 완전하게 군집을 이룬 유일한 예라는 점, 그리고 고려에서 조선으로의 왕조교체와 함께 왕실 태실 조성방식의 변화 양상을 볼 수 있다는 점에서 중요한 유적으로 평가된다. 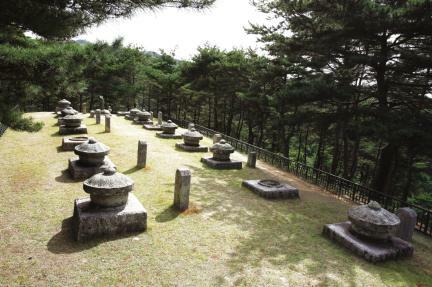 The placenta chambers of King Sejong’s 18 sons (legitimate and illegitimate) and grandson King Danjong are buried in a group on top of Taebong peak, just below Seonseoksan Mountain in Wolhang-myeon, Seongju-gun. Of the 19 chambers, 14 retain their original appearance. 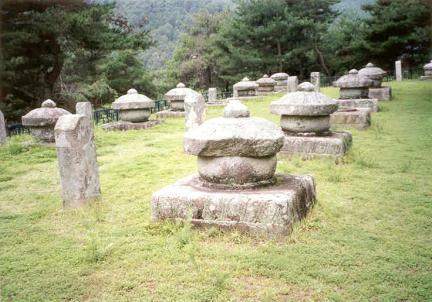 In the case of the five sons who opposed Sejo’s usurping the throne, however, their chambers have been destroyed; only the large rectangular base stones carved with lotus leaves remain. In the case of Sejo, after he ascended to the throne, a special memorial stone on a tortoise-shaped pedestal was placed in front of the placenta chamber. 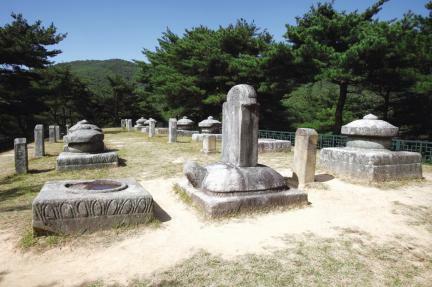 The placenta chambers were placed here sometime between 1438 (20th year of the reign of King Sejong) and 1442. 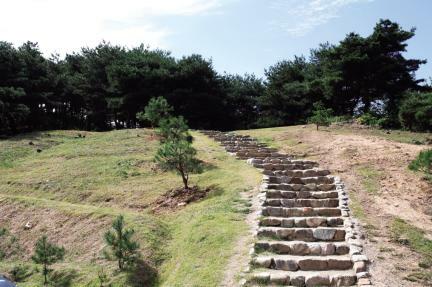 At the time, the tomb of Yi Jang-gyeong, who revived the Seongju Yi clan, was located here; when the royal family declared that it would use the site, however, the tomb had to be moved. 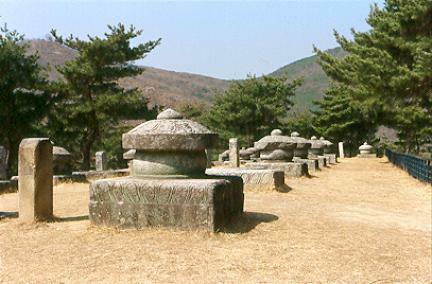 When the site was repaired in 1977, several relics were found including a buncheong bowl with stamped design and matching lid, a flat-bottomed jar, and a memorial stone. 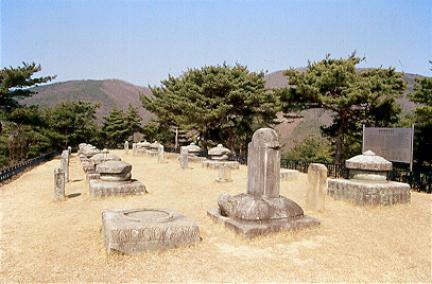 The placenta chambers of the sons of King Sejong are important in studying such structures of the early Joseon Dynasty. 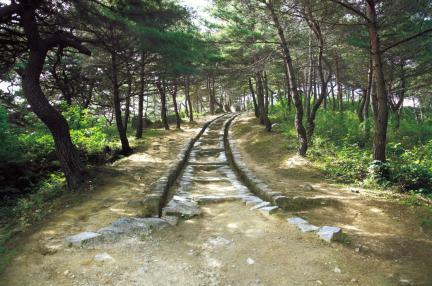 This site is also valuable as the only one in Korea where the placenta chambers of royal princes remain intact, also because it shows the changes in the way such structures were built during the transition from Goryeo to Joseon.